Please join us for a demonstration of QuoteWerks®, the leading, affordable sales quoting, estimating, and proposal solution for businesses of all sizes and industries. Want to be notified when QuoteWerks Webinars are announced? Make sure to sign up! We are currently in the process of developing our next webinar series. If you have webinar ideas, please let us know! Did you know that you can follow us on Facebook, YouTube and Twitter? Find out about new features, events, and tips before the other 74,000 QuoteWerks users do. During this webinar we offered a sneak peak into the new QuoteWerks features available for Product Content Subscribers in V5.1 Build 6 as well as a recap of the key features released over the previous 12 months. In this webinar, learn to utilize QuoteValet to quickly and efficiently create, deliver, and close more sales while simultaneously tracking customer interactions, acceptances, and payments in a fully integrated system. During this hour long session we demonstrated some of the major features we released in 2015 and how you can leverage them in your installation for 2016! This webinar demonstrates the new Product Content Functionality introduced in v5.0 Build 4. This release dramatically speeds up the real-time calls to distributors, enables you to narrow your search results, adds compare functionality for Etilize Products, and adds upsell/similar items. Watch this webinar to see how QuoteValet can save time, track your customer interactions, and help you close more sales by simplifying the acceptance and purchasing of your quotes and proposals through QuoteValet. 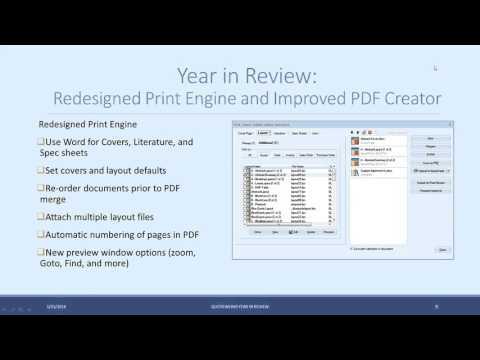 Webinar: QuoteWerks Year in Review for 2014! Did you miss any of the time saving features QuoteWerks released over the past year? Join us for this webinar where we will discuss and demonstrate the major features released in 2014 and how you can use them to save time in 2015! 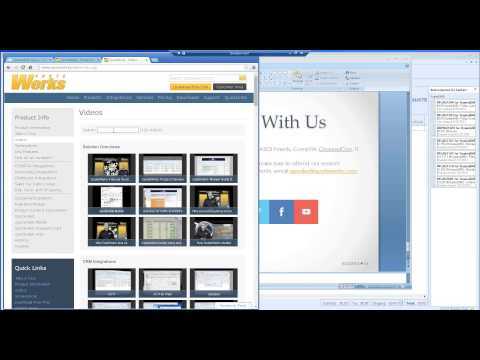 This QuoteWerks Webinar focuses on the overall use of QuoteWerks. 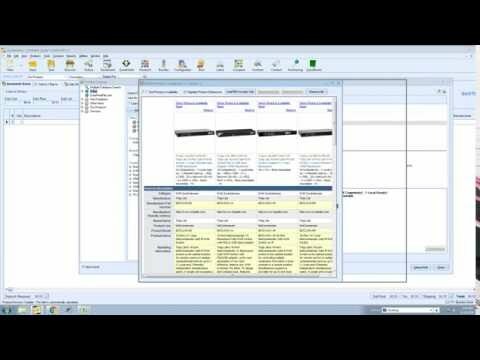 We demonstrate how to select contacts, add items (including using our IT Distributor integrations) from product sources, how to deliver the quote/proposal to the customer using QuoteValet and via email, how to export to QuickBooks or Sage 50, and finally how to create purchase orders and track items inside of QuoteWerks. This webinar is a great training tool for anyone evaluating QuoteWerks to see why it is a complete solution. 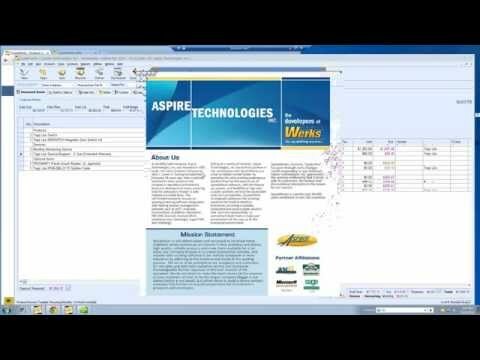 In this webinar, we demonstrate the available features and functionality between QuoteWerks and ConnectWise. During the last several months we have greatly expanded our integration into ConnectWise where we have added PO support, contact creation support, increased ticket functionality, and much more! 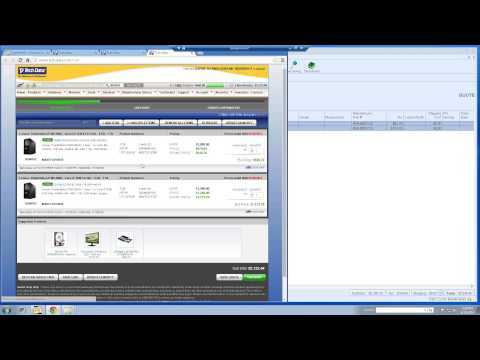 In this webinar, we focus on the integration between QuoteWerks and QuickBooks. 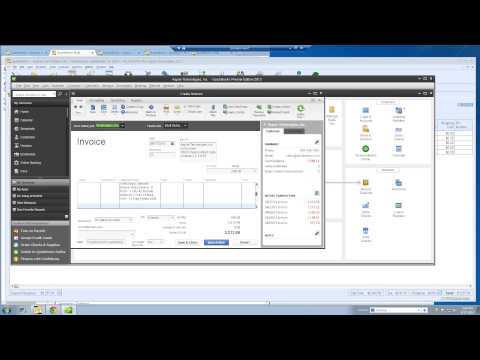 During this webinar we demonstrate the available features between QuoteWerks and QuickBooks including product support, document creation in QuickBooks, Purchasing support, and more! 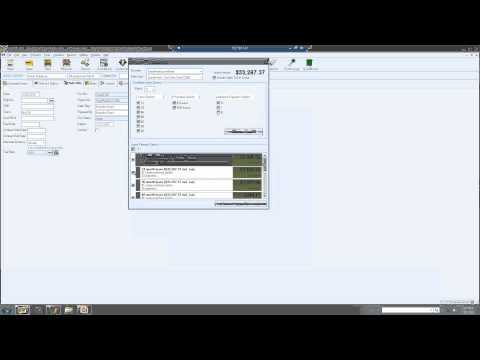 This QuoteWerks webinar provides an overview of the QuoteWerks integration with Autotask. 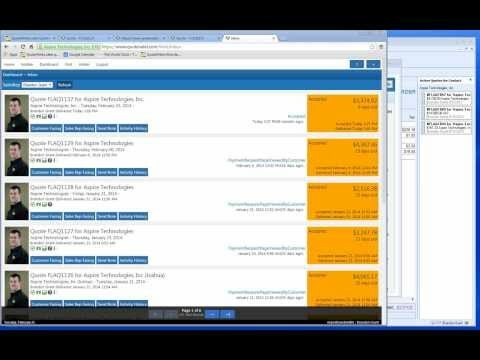 This webinar will covers the QuoteWerks integration features with Tech Data. Also joining us is Ryan McKenzie, Sr. eBusiness Specalist with Tech Data. 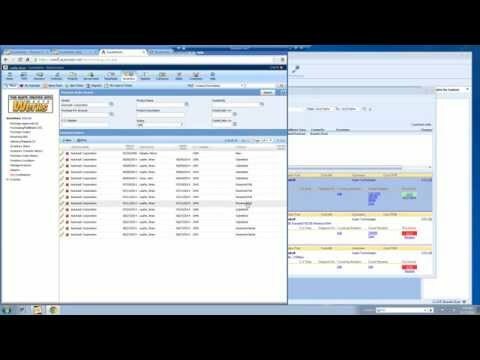 This webinar provides an overview of the QuoteWerks integration with salesforce.com. 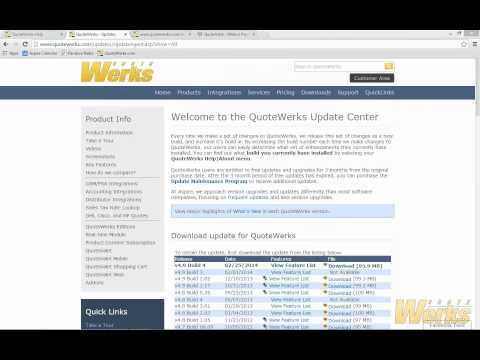 QuoteWerks Version 4.9 builds 7 & 8 have something for everyone. This new release includes over 40 new features, including salesforce.com opportunity products, Autotask Purchase Orders & receiving, more QuoteWerks Dashboard features, additional PartLocator Distributors, time saving features, and much more. 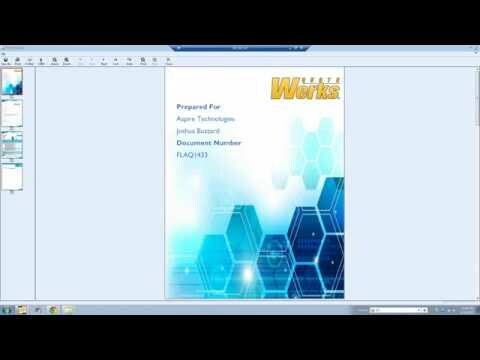 This QuoteWerks Version 4.9 Build 4 release webinar has something for everyone. This new release includes over 45 new features, including Purchasing Support, ConnectWise Features, time saving features, and much more! After we cover the new features, attendees were able to ask questions. 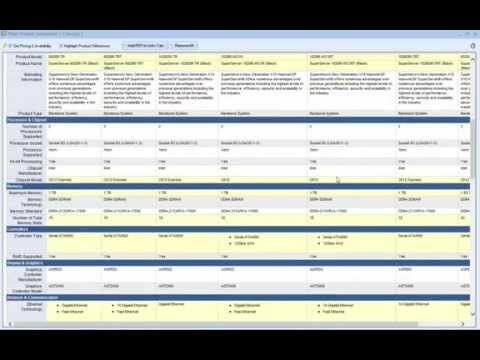 This webinar provides an overview of QuoteWerks and QuoteValet from the sales rep perspective. We step through all of the QuoteWerks tabs and toolbar buttons. We then create a quote from start to finish with Product Content, Heading Lines, QuoteValet, etc. We also touch on QuoteValet Web at the end of the webinar. 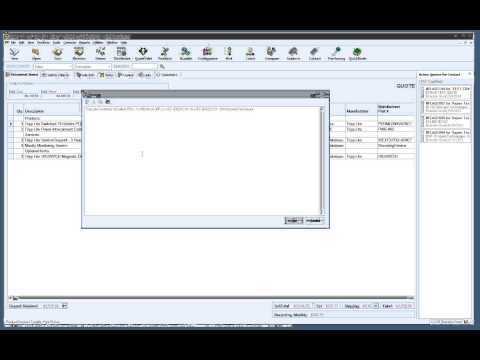 This webinar provides an overview of the integration between QuoteWerks in ConnectWise including creating a quote with QuoteValet, saving back to ConnectWise, and setting up the integration. 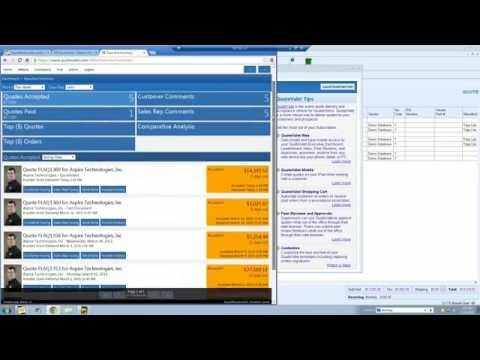 This webinar focused on the new features in QuoteWerks v4.9 build 5 and ConnectWise 2014.2 including bundles, ConnectWise Notifications for quotes, Projects, and more! 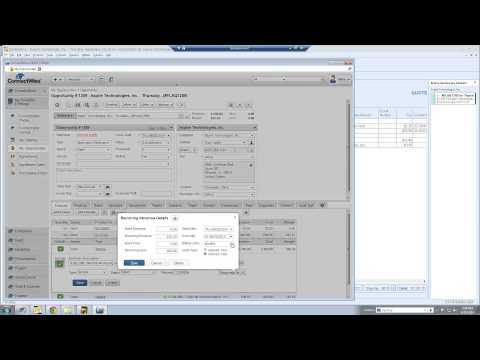 This webinar provides an overview of QuoteWerks and QuoteValet from the sales rep perspective. We step through all of the QuoteWerks tabs and toolbar buttons. We then create a quote from start to finish with Product Content, Heading Lines, QuoteValet, etc. We also touch on QuoteValet Web and answer questions at the end of the webinar. The QuoteWerks Version 4.8 Build 5 release includes 70 new features including Recurring Grouped Items, QuickBooks Item Name Creation, Distributor Online Ordering with Negotiated Pricing, and more. The QuoteWerks Version 4.8 Build 1 release includes over 17 new features including QuoteValet Shopping Cart, Procurement Automation, Azure Support, Shipping Integrations, and more. The QuoteWerks Version 4.7 Build 6 release includes over 10 new features including QuoteValet Mobile along with other QuoteValet enhancement features. This webinar is designed for existing QuoteWerks users and provides an overview of these features specifically focusing on QuoteValet and QuoteValet Mobile. The QuoteWerks Version 4.7 Build 1 release includes over 29 new features including enhancements to product selection, quote delivery, customer acceptance, payment receipt, purchasing, and invoicing. With this release, our focus was putting money back in your pocket. This is evident in the new Etilize 2.0 upsell functionality, USA tax rates included free in the Real-time Module, and credit card processing with over 80 payment gateways, and more. In this webinar, we review all of the new features in Version 4.7 including Etilize 2.0, QuoteValet Credit Card Payments, Sales Tax, QuickBooks Custom Fields and POs, and even the enhanced formula and new summary lines on the Quote Workbook.